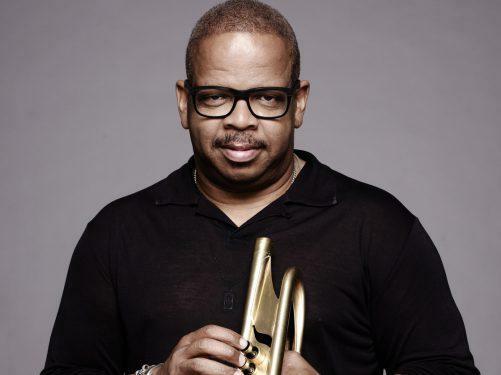 Terence Oliver Blanchard is a jazz trumpeter, bandleader, composer, arranger, and film score composer. Blanchard was born in New Orleans, Louisiana in March, 1962. Blanchard began playing piano at the age of five and then the trumpet at age eight upon hearing Alvin Alcorn play. Blanchard played trumpet recreationally alongside childhood friend Wynton Marsalis in summer music camps but showed no real proficiency on the instrument.Since Blanchard emerged on the scene in 1980 with the Lionel Hampton Orchestra and then shortly thereafter with Art Blakey and the Jazz Messengers, he has been a leading artist in jazz. He was an integral figure in the 1980s jazz resurgence, having recorded several award-winning albums and having performed with the jazz elite. Since 2000, Blanchard has served as Artistic Director at the Thelonious Monk Institute of Jazz. As of August 2011, he was named the Artistic Director of the Henry Mancini Institute at the University of Miami Frost School of Music. He lives in the Garden District of New Orleans with his wife and four children.